Gauge transformations and symmetries are central concepts in theoretical physics. Located in the Albanova University Centre, shared by Stockholm University and The Royal Institute of Technology (KTH), we carry out world leading research. With the Nordic Institute for Theoretical Physics (Nordita) next door, we cover almost all theoretical fields from string theory and quantum phenomenon to general relativity and cosmology. This creates a strong and vibrant research environment which we aim to reflect in our MSc programme. With all teachers being active researchers, our students are offered great opportunities to get in contact with the different fields through lectures, laboratory sessions, group projects and thesis work. Want to know more about our current research or meet our Nobel Laureate and teacher? The vast part of your studies will be at Albanova, where we have a large focus on lectures and laboratory sessions. We want our students to develop their ability to work independently as well as in groups which is why our teaching focus on course projects. There is a good relation between students and teachers, and we provide strong academical support to the students by always having easily accessible teachers. In addition, the programme includes a unique mentor system, where PhD students act as a mentor for MSc students in practical matters as well as introduction to different research areas. This two year programme gives you advanced knowledge and broad qualifications in how to use the mathematical and statistical methods that are applicable within theoretical physics. In addition to the mandatory set of courses, this programme is flexible and you can create your unique profile by combining courses of your interest. Our optional courses cover areas such as quantum field theory, cosmology, astroparticle physics and advanced statistical physics. The final component of your studies is a degree project where students get to apply your knowledge and plan, carry out and report a research project. This is often performed together with one of our theoretical physics research groups. The programme outline is illustrated below. Note that this outline can be subject to change. Note that if you have already taken some of the compulsory courses, you can still apply for the master programme and read more of the advanced optional courses instead. As a physics student at Stockholm University you gain experience of working in a frontline research environment and an advanced understanding of theoretical physics through analysing, modelling and synthesising complex information. Our programme provides an excellent foundation for PhD studies and opens multiple career options outside of the academic field. 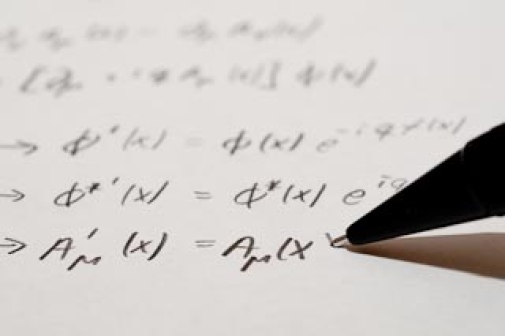 The ability and training in critical evaluation and analysis of complex new phenomena, often using sophisticated mathematical methods, is useful in disciplines such as bio-informatics, applied mathematics and sectors like modern industry, finance, insurance, and communications. The application period for our Master's programmes starting in autumn 2019 opens on October 15th, 2018. You apply by following the three steps below, and your application should be registered no later than January 15th. Bachelor of Science Degree, including at least 90 ECTS credits in Physics.